Itty Bitty Hill: Cutest "Puntin" in the Patch! Cutest "Puntin" in the Patch! Becca looooooooves pumpkins this year. Only she calls them "puntins." Which is pretty adorable. 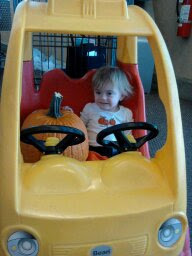 Here she is in the racecar shopping cart with the pumpkin she picked out at Kroger the other day. I still have plans to take her to a pumpkin patch to revel in the multitude of puntins, but when she walked right over to this pumpkin, hugged it, and tried to pick it up, I decided that it needed to go home with us. A pumpkin in a car....best grocery shopping trip ever. It was a pleasure, even though it was still no Publix! So cute- Becca and her puntin! I sure she'd love the NUMC patch. This love of pumpkins is proof that she is a Methodist youth. Haha. 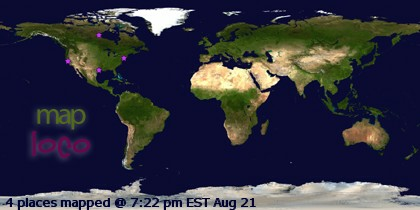 Thanks again for sharing.